The opening number in the cantata of the same name. 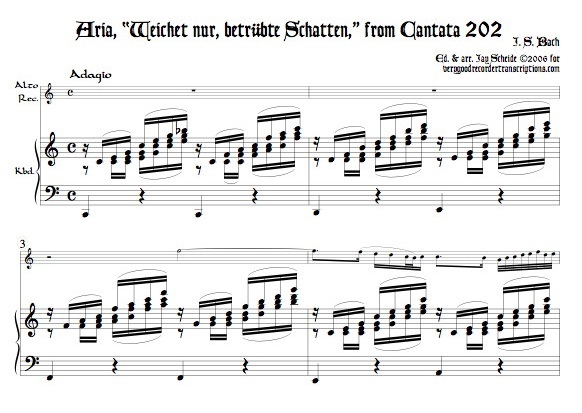 Originally for soprano, oboe and continuo in G major, transposed here to C. Title means, “Away with you, gloomy shadows.” The keyboard part rises above the usual limit of c6 to g6. Revised May 12, 2018.